Observation - Early Spider-orchid - UK and Ireland. 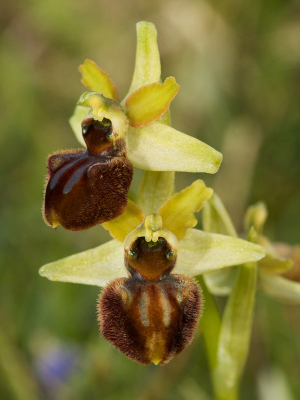 Description: An uncommon and strange UK orchid. The green and brown flowers can easily be overlooked, but a close view reveals their amazing structure. An uncommon and strange UK orchid. The green and brown flowers can easily be overlooked, but a close view reveals their amazing structure.